Whether you are shopping for the special guys in your life, or just looking for something new to read, these new and recent titles cover a myriad of topics and genres. In short, a little something for everyone! From Uruguayan Alcides Ghiggia in 1950 through to Mario Gotze in 2016, this is a fascinating portrait of the men who have lived the dream of every soccer fan worldwide. Michael's intimate portraits are accompanied by an interview with the player that not only relives the moment, but gives fascinating insight into the occasion, from the music they played on the bus to the stadium, to meal they ate afterwards. The book includes the story of what happened in each World Cup, what happened to the players afterwards and what they do today. Beautifully illustrated, with fascinating text and the backing of FIFA, Goal! is a unique soccer book that captures the essence of the ultimate sporting achievement. Written while confronting a mortal illness, John McCain looks back with appreciation on his years in the Senate, his historic 2008 campaign for the presidency against Barack Obama, and his crusades on behalf of democracy and human rights in Eastern Europe and the Middle East. Always the fighter, McCain attacks the "spurious nationalism" and political polarization afflicting American policy. He makes an impassioned case for democratic internationalism and bi-partisanship. He tells stories of his most satisfying moments of public service, including his work with another giant of the Senate, Edward M. Kennedy. Senator McCain recalls his disagreements with several presidents, and minces no words in his objections to some of President Trump's statements and policies. At the same time, he offers a positive vision of America that looks beyond the Trump presidency. Named one of the 10 Best Books of 2017 by The New York Times Book Review, Pulitzer Prize winner Ron Chernow returns with a sweeping and dramatic portrait of one of our most compelling generals and presidents, Ulysses S. Grant. With lucidity, breadth, and meticulousness, Chernow sheds new light on the man whom Walt Whitman described as "nothing heroic... and yet the greatest hero." Chernow's probing portrait of Grant's lifelong struggle with alcoholism transforms our understanding of the man at the deepest level. This is America's greatest biographer, bringing movingly to life one of our finest but most underappreciated presidents. The definitive biography, Grant is a grand synthesis of painstaking research and literary brilliance that makes sense of all sides of Grant's life, explaining how this simple Midwesterner could at once be so ordinary and so extraordinary. Novelist and historian Matthew Kneale, a longtime resident of Rome, tells the story of the Eternal City--from the early Roman Republic through the Renaissance and the Reformation to Mussolini and the German occupation in World War Two--through pivotal moments that defined its history. Matthew Kneale uses seven of these crisis moments to create a powerful and captivating account of Rome's extraordinary history. He paints portraits of the city before each assault, describing what it looked like, felt like, smelled like and how Romans, both rich and poor, lived their everyday lives. He shows how the attacks transformed Rome--sometimes for the better. With drama and humor he brings to life the city of Augustus, of Michelangelo and Bernini, of Garibaldi and Mussolini, and of popes both saintly and very worldly. He shows how Rome became the chaotic and wondrous place it is today. Where there's Smoke there's Fire! And where there's fire, there's Steven Raichlen. Following the breakout success of Project Smoke, the New York Times bestseller that brought Raichlen's Barbecue! Bible(R) series to a new generation, comes Project Fire--a stunning, full-color celebration of the best of contemporary grilling from America's master of live-fire cooking. No one knows his way around a grill like Steven, and no one is better equipped to teach us how to deliver its best performance. Drawing on a combination of classic and boldly contemporary techniques, here are 100 inspired recipes that capture the full range of what grillers want to cook today. The unbelievable true story of the man who built a billion-dollar online drug empire from his bedroom--and almost got away with it. In 2011, a twenty-six-year-old libertarian programmer named Ross Ulbricht launched the ultimate free market: the Silk Road, a clandestine Web site hosted on the Dark Web where anyone could trade anything--drugs, hacking software, forged passports, counterfeit cash, poisons--free of the government's watchful eye. Drawing on exclusive access to key players and two billion digital words and images Ross left behind, Vanity Fair correspondent and New York Times bestselling author Nick Bilton offers a tale filled with twists and turns, lucky breaks and unbelievable close calls. The African nation of Wakanda stood alone as an unconquerable land filled with incredible technological advancements for ten centuries. 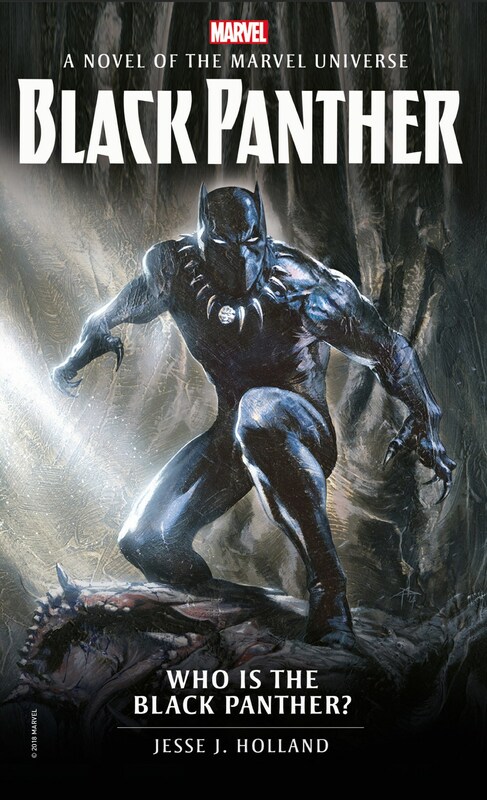 T'Challa, the latest in a lineage of warrior-kings, is the Black Panther, endowed with enhanced speed and strength, along with a suit made of the indestructible metal that secured his country's future: Vibranium. Now, outsiders have returned to plunder Wakanda's riches-including its store of the rare metal. Leading this brutal assault is Klaw, an assassin with the blood of T'Challa's father on his hands. Klaw brings with him a powerful army of super-powered mercenaries, all hell-bent on raining death and destruction on this pristine land.